It’s not bed and breakfast; it’s Bass & Bluegills, Indiana style. Diane and I were at Julie’s for a few days over Easter. Jonathan and his family were there, also. We had great weather; temps were above average and spring is definitely early. Private ponds are quite common in that part of the country. 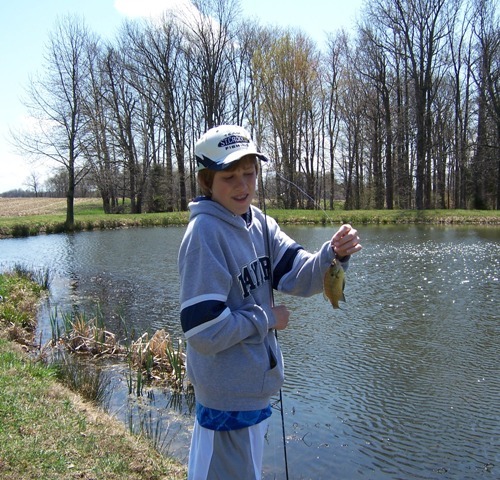 They are stocked with bass, bluegills, crappies, catfish and other species. One afternoon Darlis, Matthew, Jonathan and I fished a pond that Darlis had permission to fish. 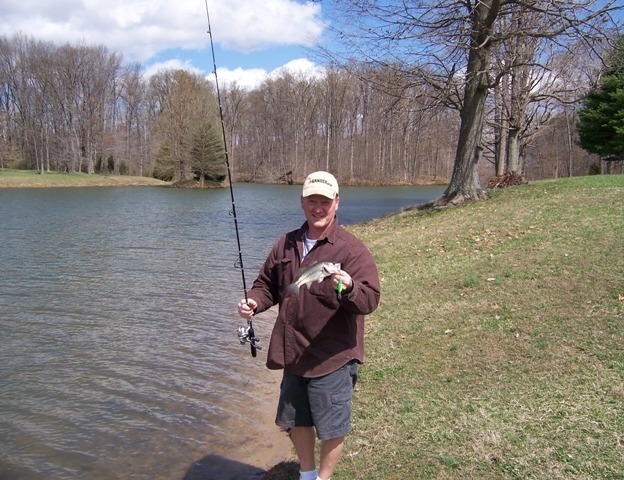 Each of us caught a few small large mouth bass and bluegills; all catch and release. It was a nice afternoon. Diane and I came home yesterday through International Falls. The river looks to be low; not much inflow from the Littlefork, Bigfork and Rapid rivers for this time of the year. There were a lot of boats on the river between Baudette and Birchdale; the landings at Clementson and Frontier were full. The only report I’ve got so far is that there is a pretty good bite; although not great, of big slot fish. It can be a challenge to get two fish to keep. Looks like the weather is going to cooperate for the last few days of the season.